This green-roofed cultural center in Sweden blurs the line between the indoors and outdoors. Designed by Sweco Architects, the new Bergsjön Kulturhus grows out from the existing hill and blends with the square to form a unified environment. 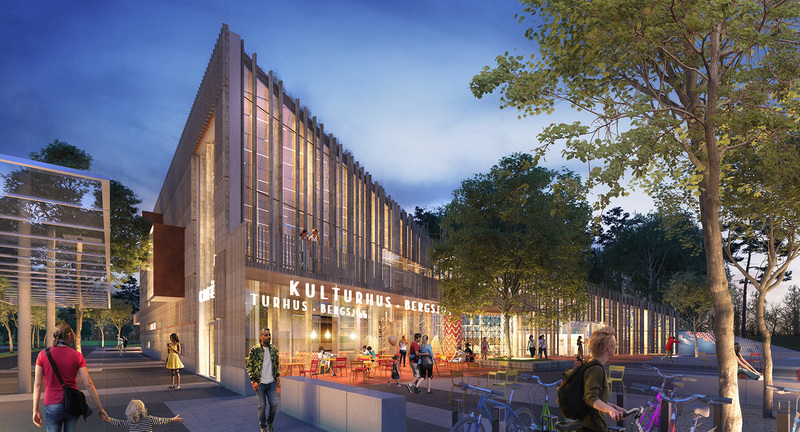 Sweco Architects won a competition to design a new culture house for Bergsjön, a district in eastern Gothenburg. The architects sought to weave storytelling, knowledge and recreation together like a “basket of possibilities”. 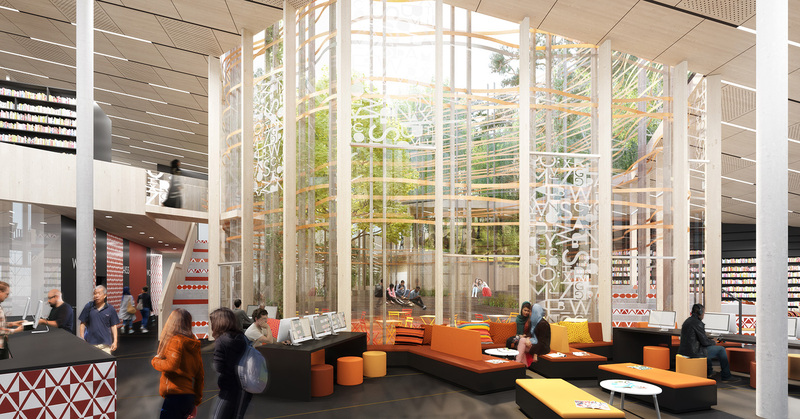 An atrium serves as the core of the project, and surrounding spaces hold a library, a café, ateliers, exhibition space, meeting rooms, a studio, a small theater, a greenhouse and multi-use facilities. The building’s glass facade creates a visual connection between the interior and the green areas outside. 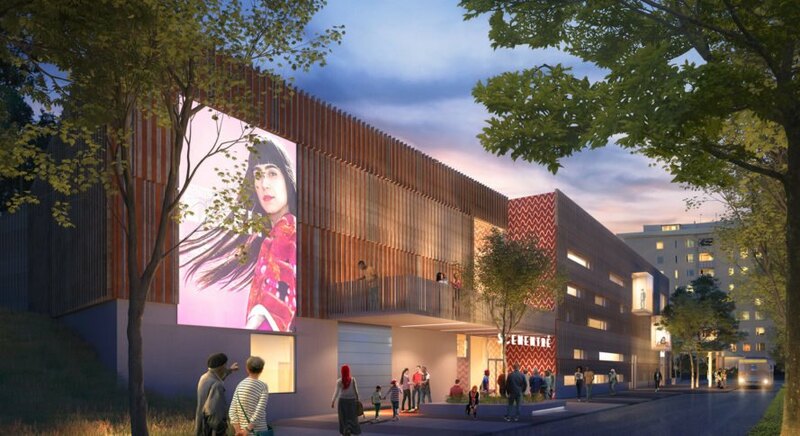 Integrated into the surrounding urban fabric, the cultural center creates a welcoming atmosphere and functions as a social arena that fosters interaction. This green-roofed cultural center in Gothenburg doubles as a vibrant public square. The new Culture House, designed by Sweco Architects, grows like an outcrop from the existing hill and blends with the square to form a unified welcoming space. 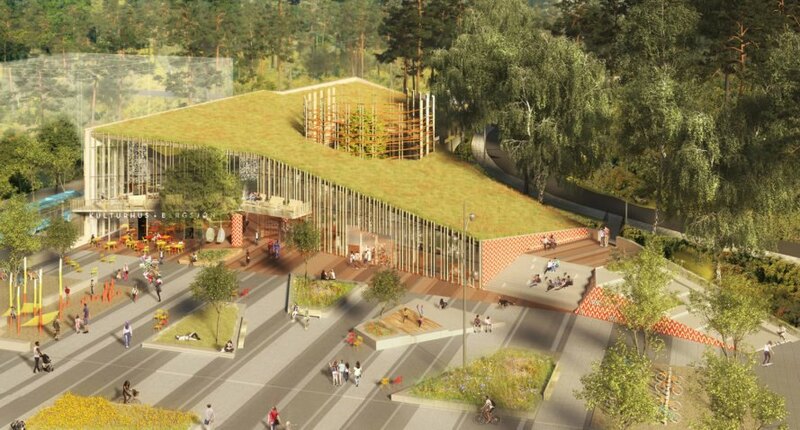 It was chosen as the winning proposal at the competition for the design of the new culture house in Bergsjön, a district in eastern Gothenburg. The project aims to combine different functions, weaving storytelling, knowledge and recreation together like a "basket of possibilities". 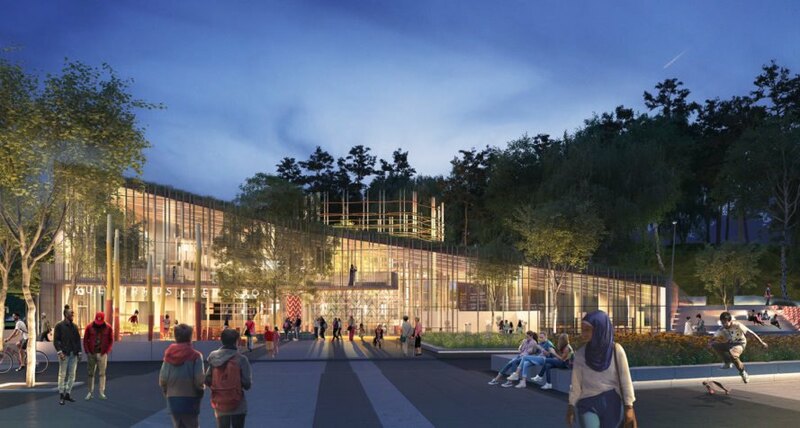 Its glass facade creates visual connections between the inside and the outside space and connects indoor amenities with green areas. 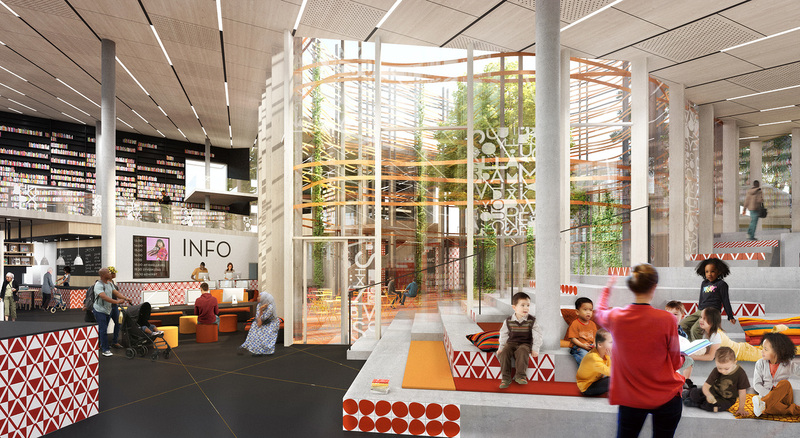 An atrium acts as the core of the project, with surrounding programmed and flexible spaces housing a library, a café, ateliers, exhibition space, meeting rooms, a studio, a small theatre, a green house and multi-use facilities. 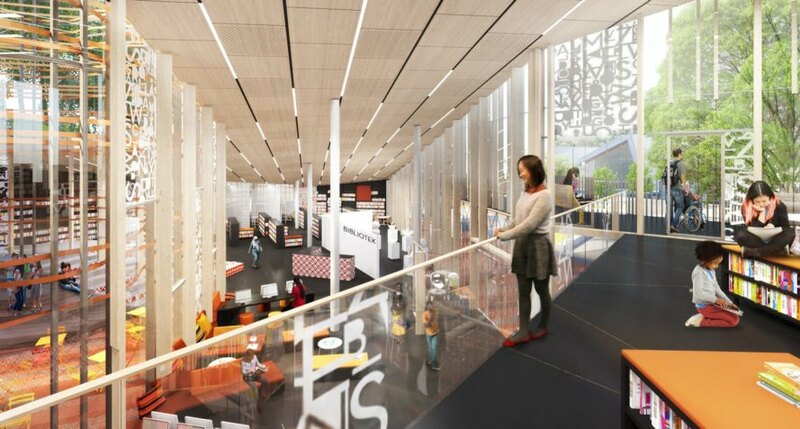 Integrated into the surrounding urban and natural tissue, the building provides a welcoming atmosphere and functions as a social arena that fosters interaction.